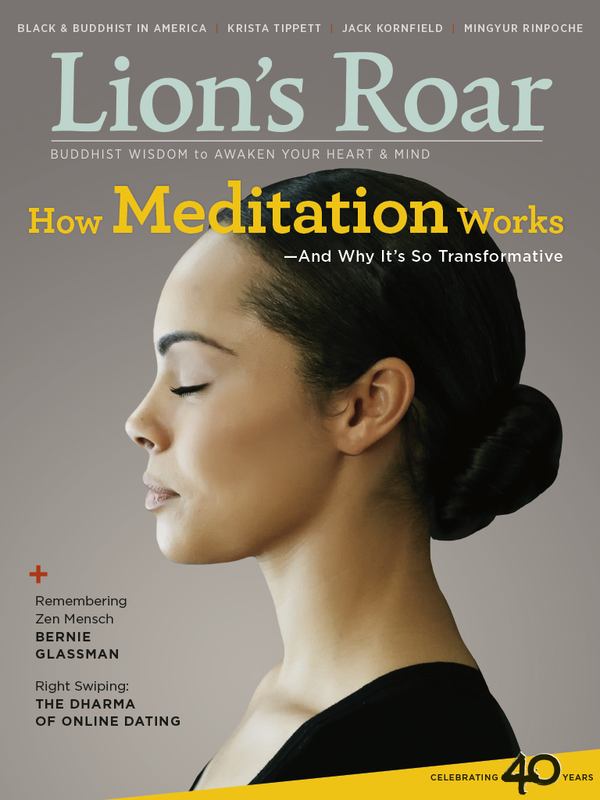 The March 2019 issue of Lion’s Roar magazine features Buddhist insights on how meditation works, and why it’s so transformative. Inside, you’ll find teachings from Gaylon Ferguson, Kate Lila Wheeler, and Norman Fischer; a look at the dharma of online dating; a remembrance of the late Buddhist teacher Roshi Bernie Glassman; and much more. 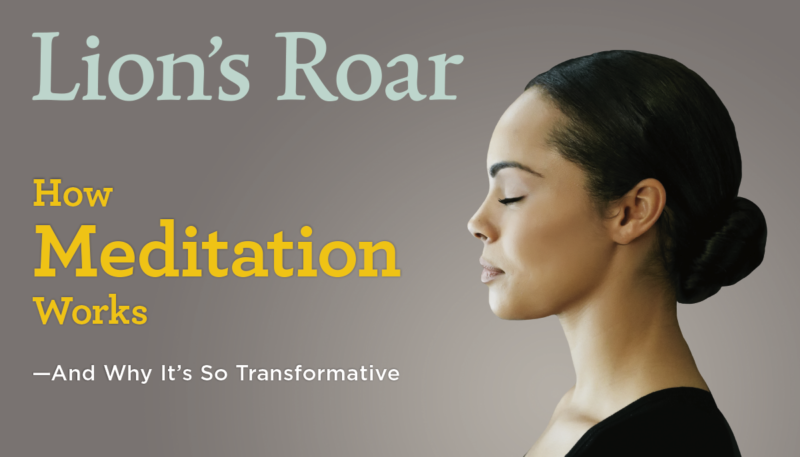 Meditation works with the mind — and mind is so much more than we think it is. All that we are and experience is mind, explains Norman Fischer. That mind is original enlightenment itself. Gaylon Ferguson breaks down the different components of consciousness and how they create your outer and inner world. Fourteen leading African American teachers talk about the joys and hard realities of being black and Buddhist in America today. Andrea Miller on the extraordinary life of Roshi Bernie Glassman, the innovative Zen teacher who broke open our ideas of what Buddhism could be. Lindsay Kyte follows her friend Alicia as she navigates the world of online dating with advice from two Buddhist relationship experts. To celebrate Lion’s Roar’s 40th anniversary, we look ahead to the next 40 years. 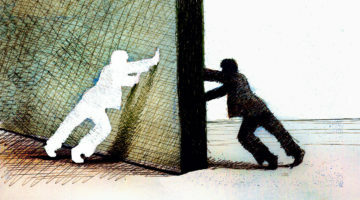 In this issue we ask: What message or Buddhist teaching will be of most benefit? 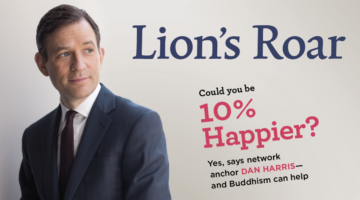 Is Buddhism Helping You Keep Up Hope? You’ll find more Dharma FAQs and other articles for your beginner’s mind here. 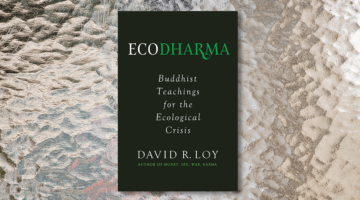 We review Ecodharma by David R. Loy, Matters of Vital Interest by Eric Lerner, Where’s Buddha? by Marisa Aragón Ware, and more.